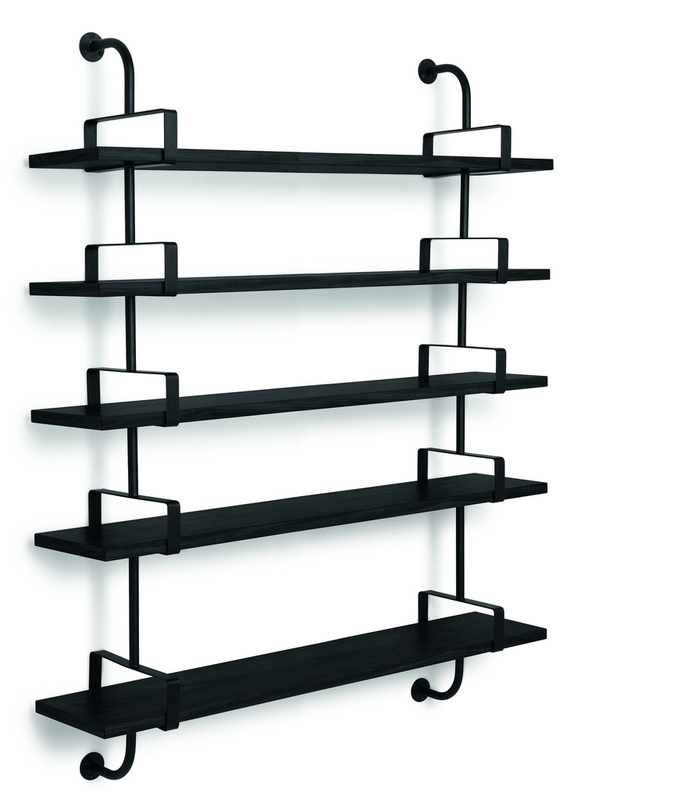 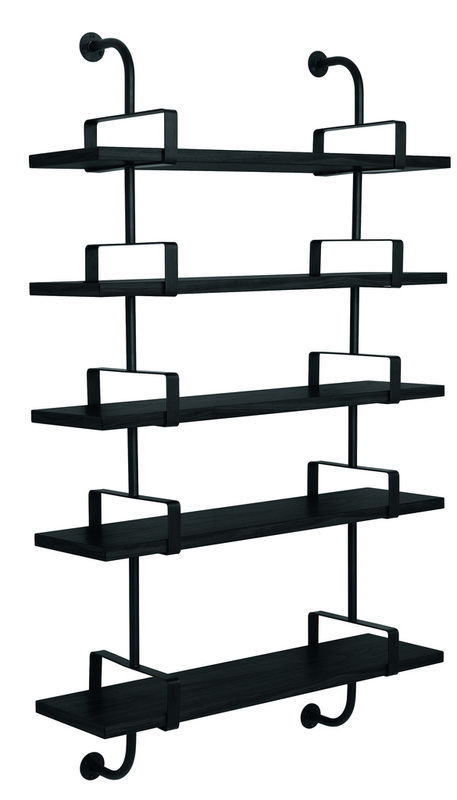 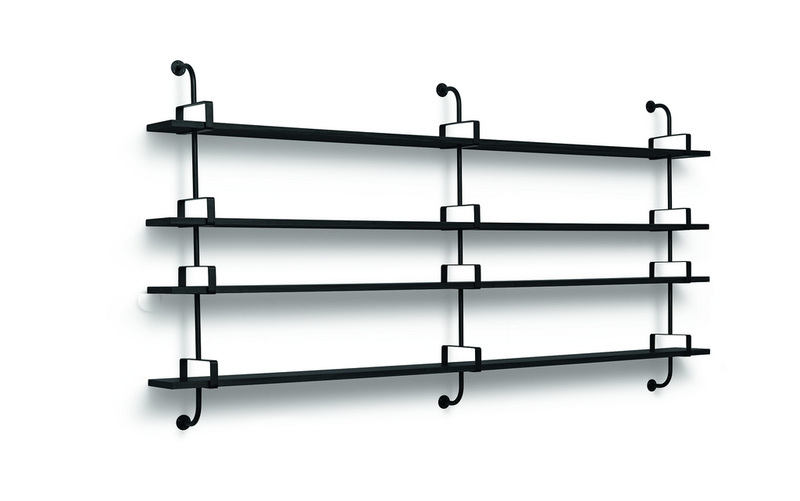 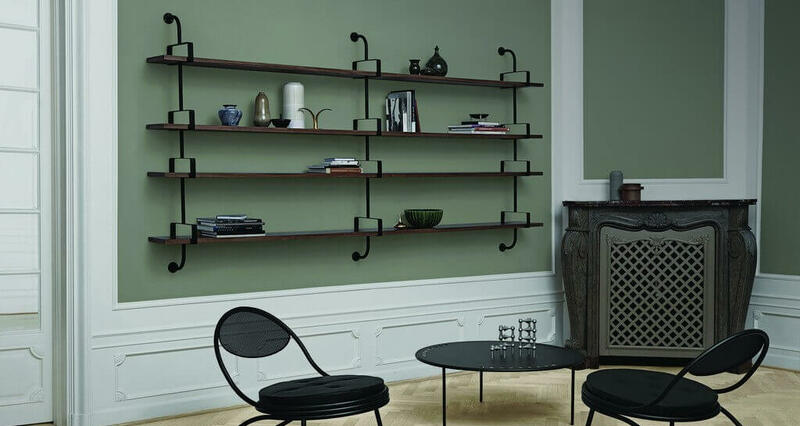 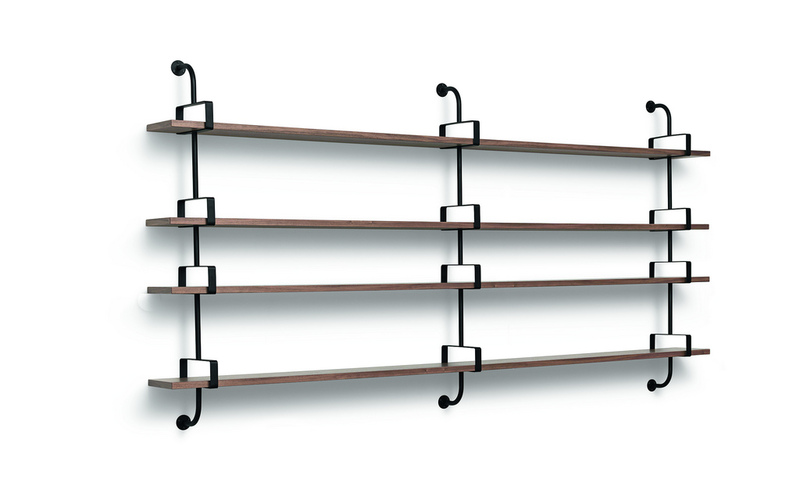 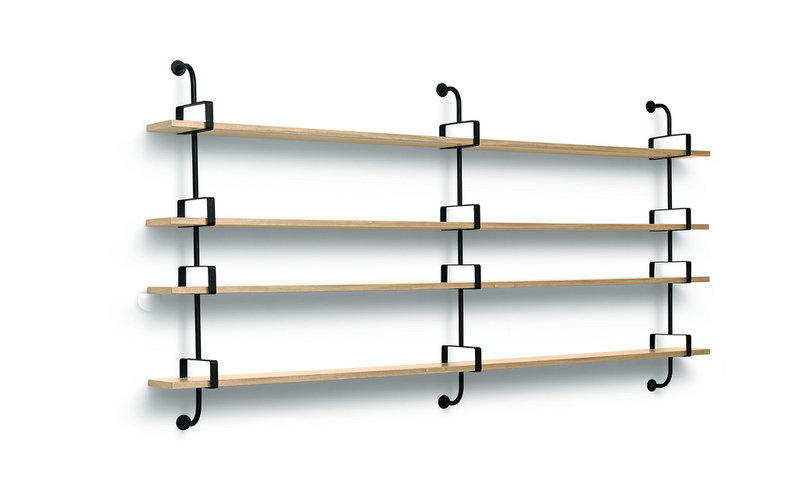 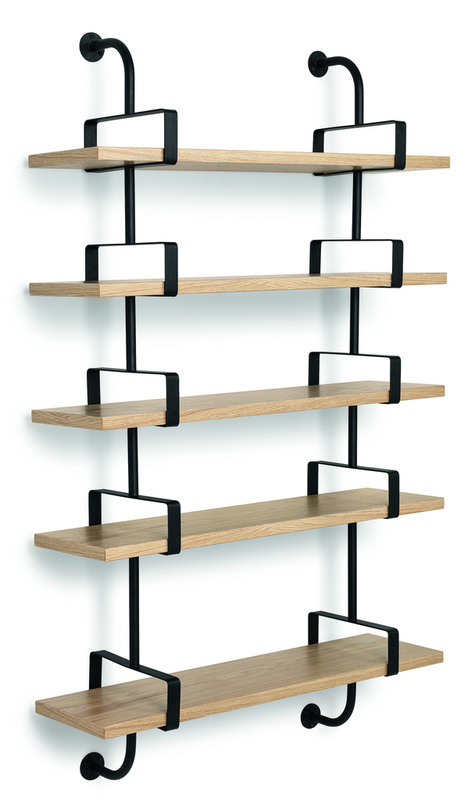 A modular shelving system that can be combined in several ways. 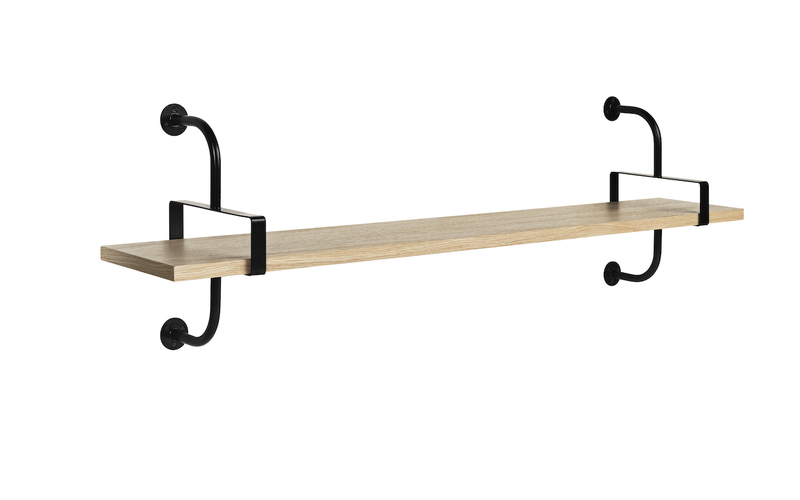 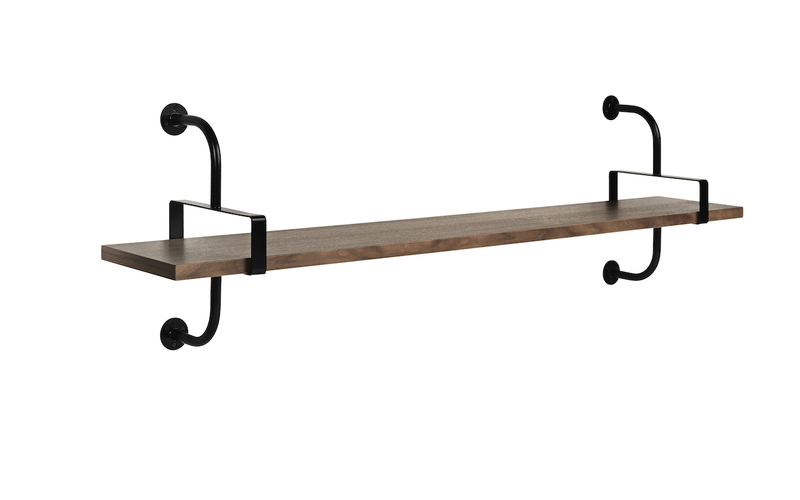 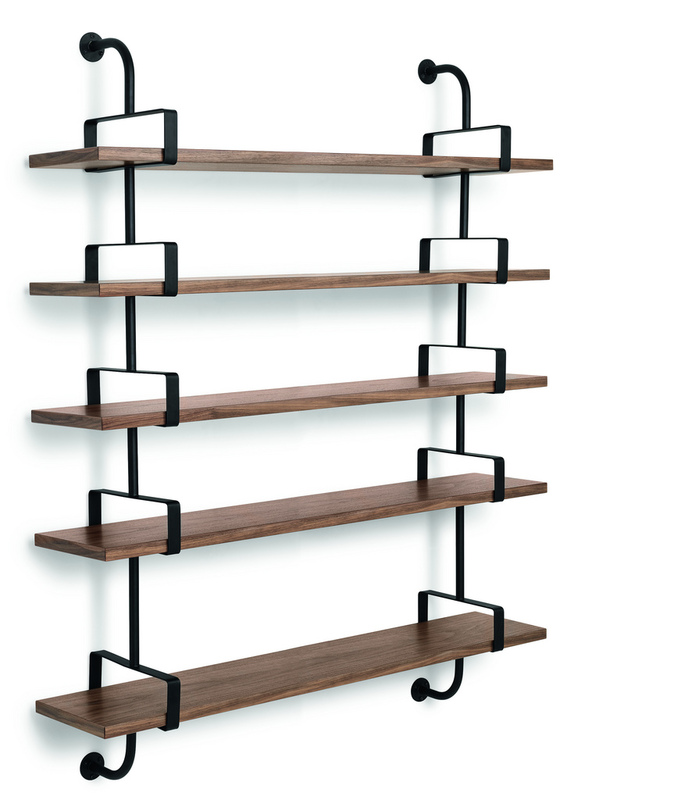 The veneered shelves come in natural oak, natural walnut and black stained ash. 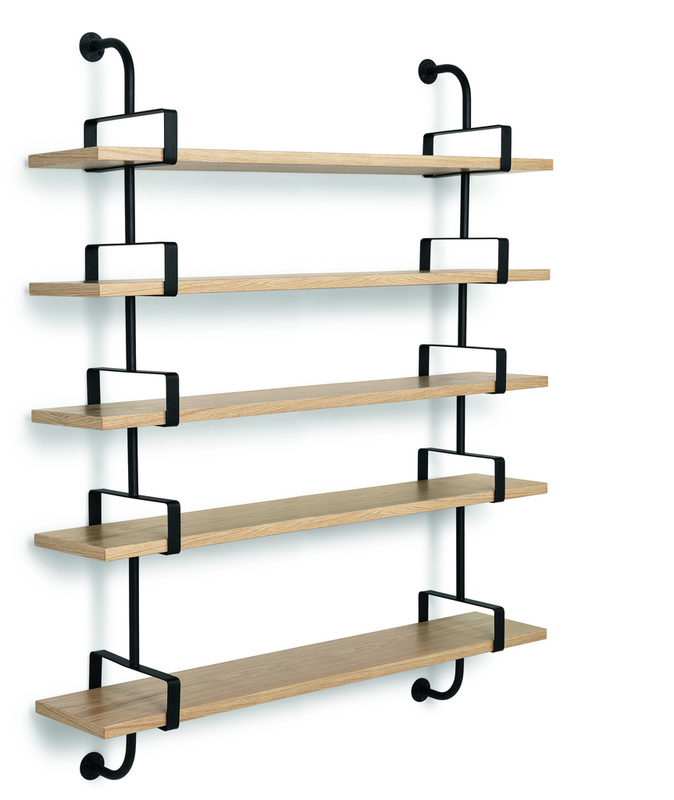 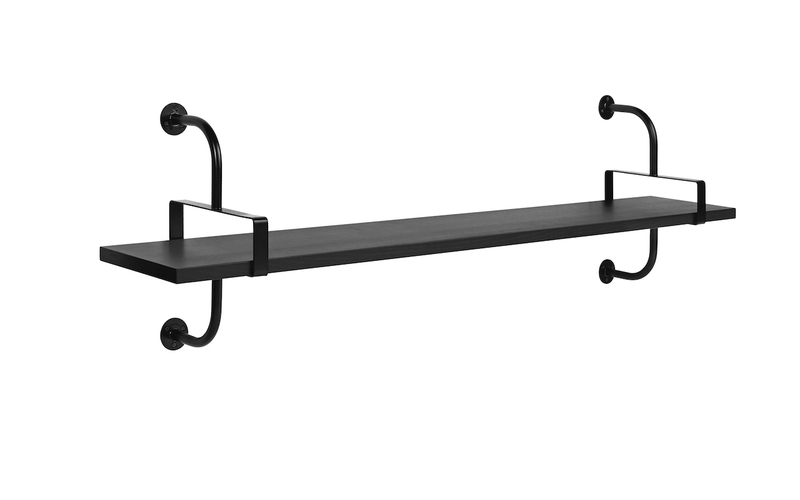 The metal brackets are lacquered in black.